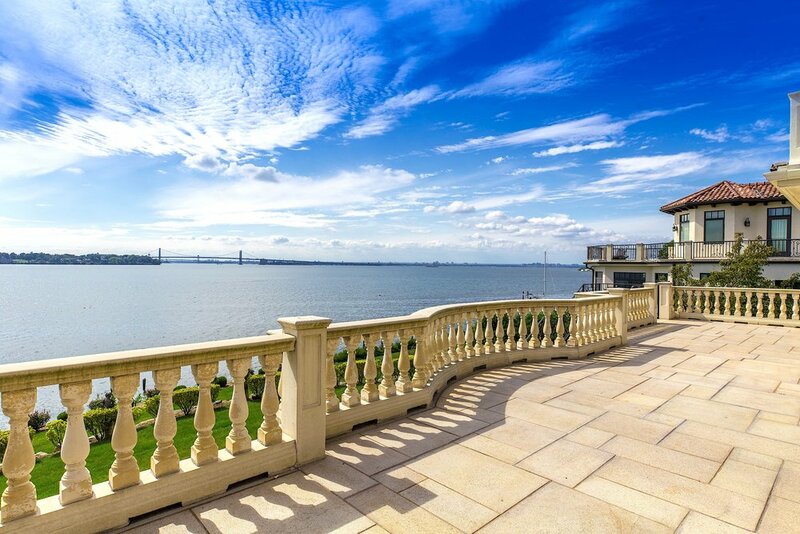 Stunning 8,000+ square foot custom built waterfront home, with unobstructed views of the Manhattan skyline and bridges, situated on approximately 2/3 acres of perfectly manicured property in the prestigious Village of Saddle Rock. The home features an indoor pool, multiple terraces and patios overlooking the water and an elevator servicing all floors. The entrance leads into a foyer with water views upon entry, two story ceilings, handsome woodwork and and custom plaster mouldings. The first level includes an expansive state of the art eat-in-kitchen, Sub-Zero Fridges/Freezers, Wolf appliances, beautiful kitchen island, multiple sinks, breakfast area overlooking the water. 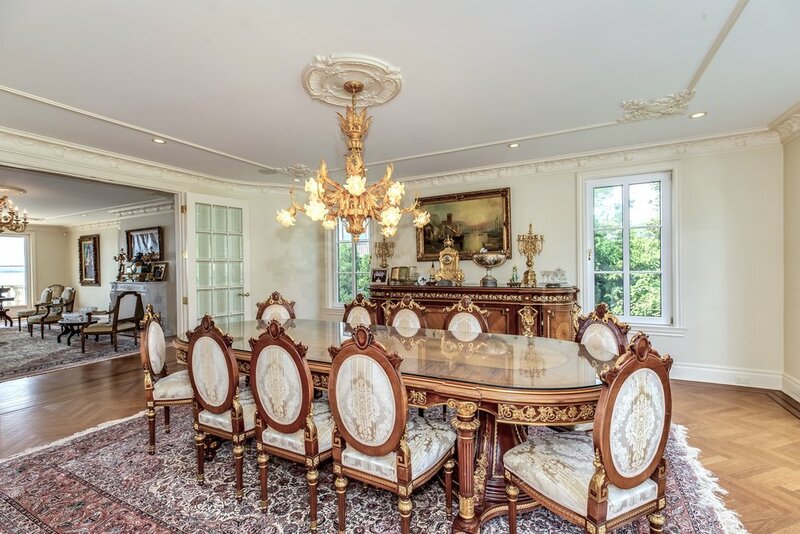 The remainder of the floor includes a living room, formal dining room, family room, powder room. 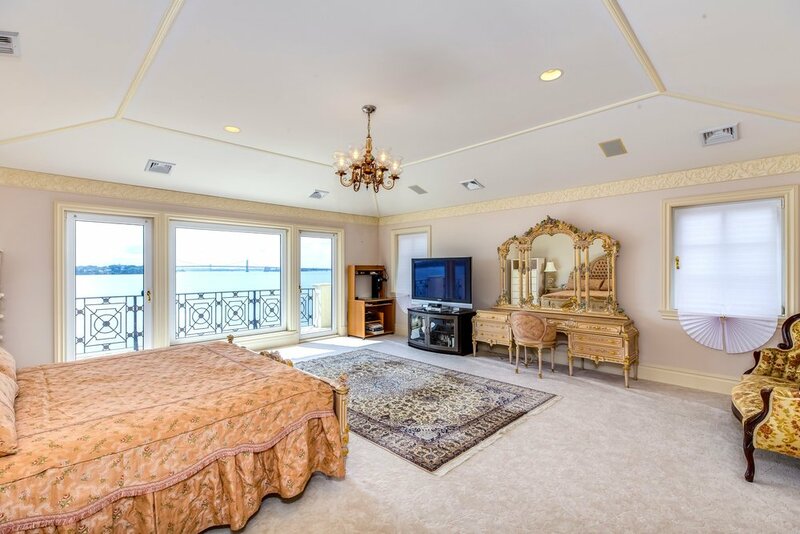 The second level boasts a luxurious master suite with master bathroom, walk ins and spectacular city views. The second floor is rounded out by an additional 4 large bedrooms, 4 additional full bathrooms and balconies running the entire length of the home's rear. The home has a full above ground walk-out lower level with high ceilings throughout. 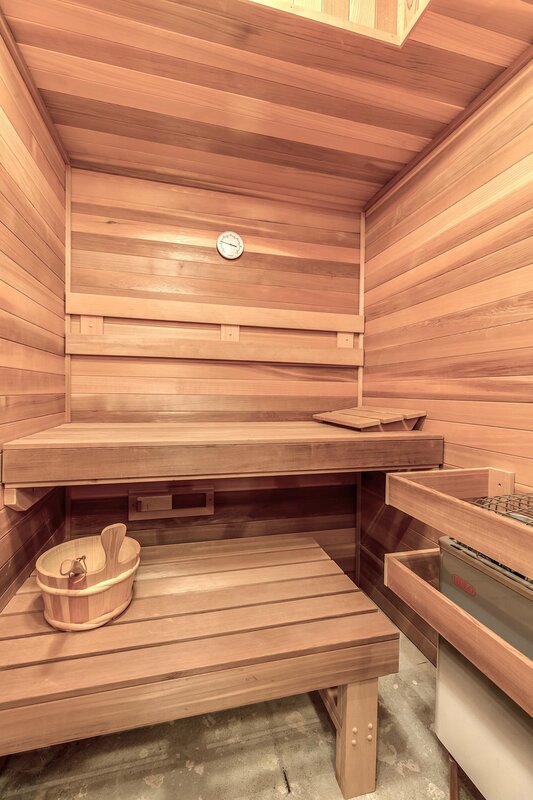 This level includes an indoor pool and hot tub, a sauna, a kitchen/bar, 2 bedrooms and 2 full bathrooms. The house has a two 2 car garage, natural gas generator, multi-tiered backyard with a wood deck on the water and perfect landscaping. The Village of Saddle Rock is in the Town of North Hempstead. It is on the Great Neck Peninsula on the North Shore of Long Island and is often grouped together with the other hamlets and villages and referred to collectively as "Great Neck." The Village is exclusively residential. The private, single-family homes, originally developed in the 1950’s, were carefully located on the hills of the Village in order to maintain open space and maximum views of the water and the New York City skyline.